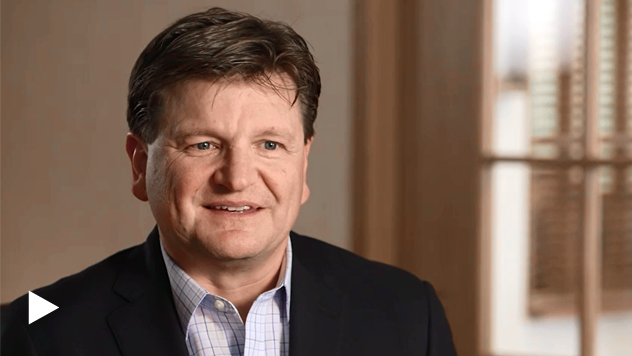 Portfolio Manager Bill Hench talks about the significance of the current global technology buildout and its effects on his portfolios. The tech buildout has been composed of a number of different things, primarily artificial intelligence, autonomous driving, public/private clouds, and really, the birth of a semiconductor capital equipment group in China. We're talking about whole new industries, right? We're talking about major corporations taking what used to be held in-house and putting it out into the cloud. But you've also got public and private cloud buildouts here. You're talking about autonomous driving, you're talking about a whole series of products that are going to do things that were, you know, unimaginable just a couple years ago. And all of this eats up semiconductors, it eats up memories, and it's really going to drive continuous spending, at least in our investment cycle. So, our companies benefit on the device side because these things tend to eat up a lot of capacity. And on the capital equipment side, there really is no other place to go in the world except for some of these small US companies. They deliver product to the big cap producers and as well as the device makers themselves. So, it's really been a fantastic time and I think the cycle is going to be at least another year, year and a half. You don't hear about the names that we own because of their size and they're usually suppliers to the bigger names. However, you’re getting benefits in software, you’re getting benefits especially in contract manufacturing and a host of other smaller sort of side industries that contributes to this buildout, as well. Why is the tech buildout important? It's such a huge buildout because the spending at the large company level is just tremendous, okay, whether it's Google, and Facebook and Amazon, or companies, you know, not necessarily that big but involved in data involved in moving information, involved in moving goods. You name it; the growth continues to not only be with big companies, but with small companies, as well. And we're not anywhere near complete, I think, especially when you look outside of the developed countries. Where are you finding opportunities in this tech buildout? A lot of the things we bought in technology we built our positions up in 2015, beginning of 2016, so we enter the cycle with very favorable economics as far as our pricing goes. But still a lot of the phenomenon of what's going on has been ignored because all the attention's been on the bigger caps, right? As is normal in a cycle, the smallest companies tend to get recognized last, and if you look at some of the names in the capital equipment side and the semiconductor device side, you'll see that they don't reflect what we think is going to be pretty good growth going out the next two or three years. So, you still have companies that are affiliated, say with what's going on, but, but not necessarily reflecting the same type of multiples that the bigger companies are.